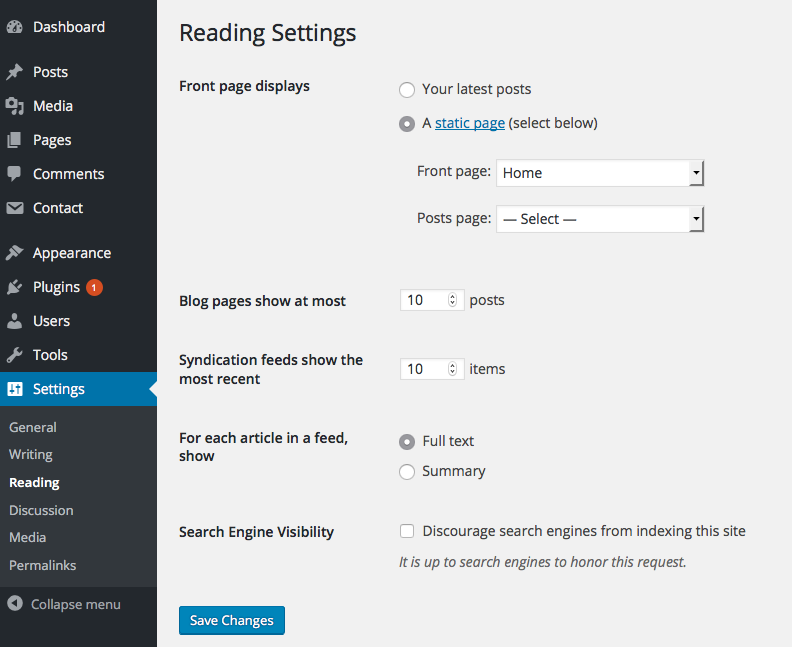 Go to Reading -> Settings and change your front page to the Home page you recent created above. 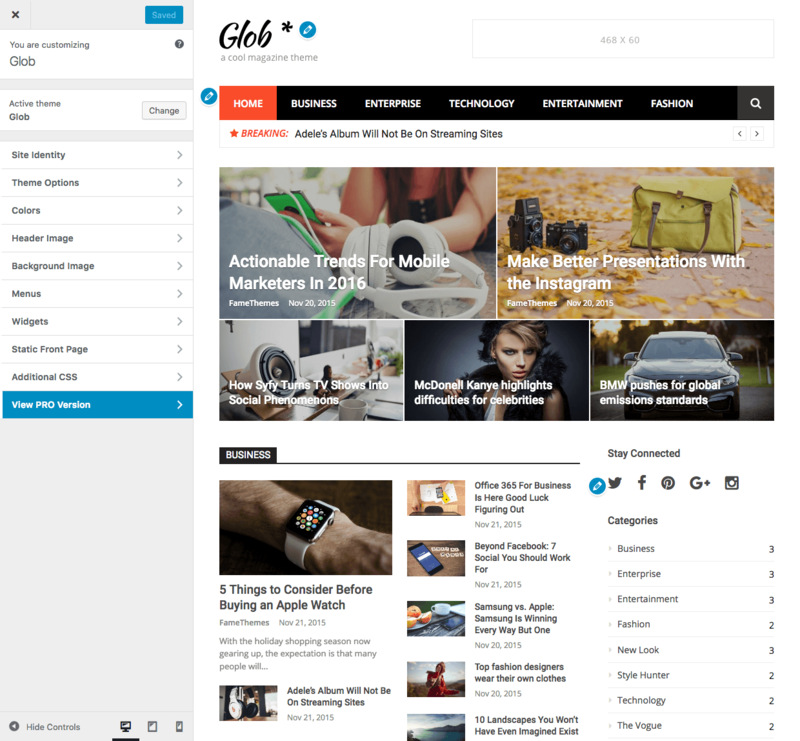 The Glob includes a widgetized homepage template with up to 5 particular widget locations where you can place WordPress widgets, custom widgets or any content you want. 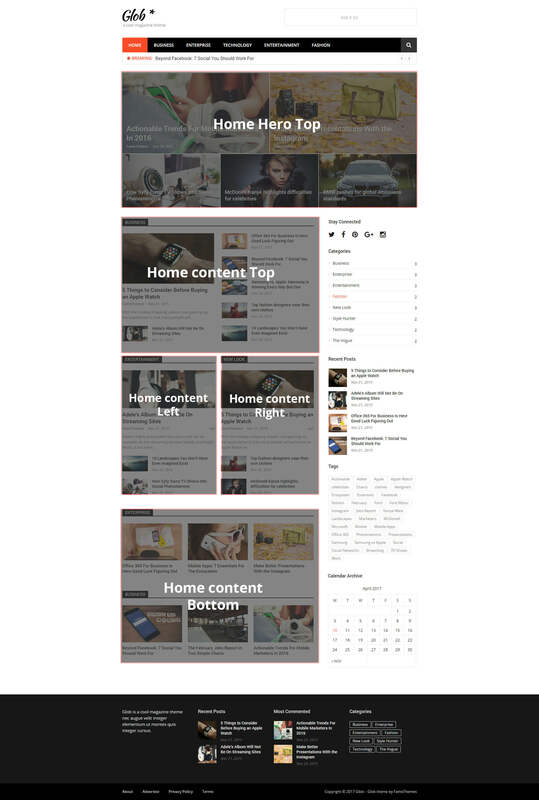 You can arrange the widgets on the front page as you like and create a unique and amazing magazine layout to display your content in an effective way. 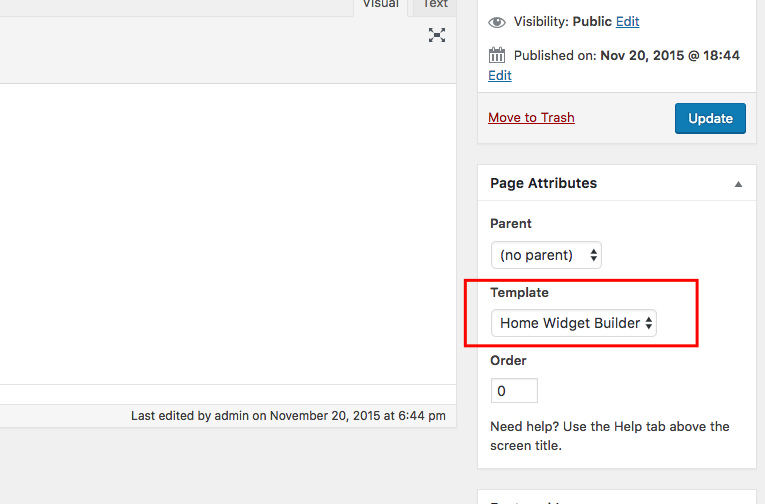 To enable this functionality you need to add or assign widgets to predefined widget areas in Appearance > Widgets. 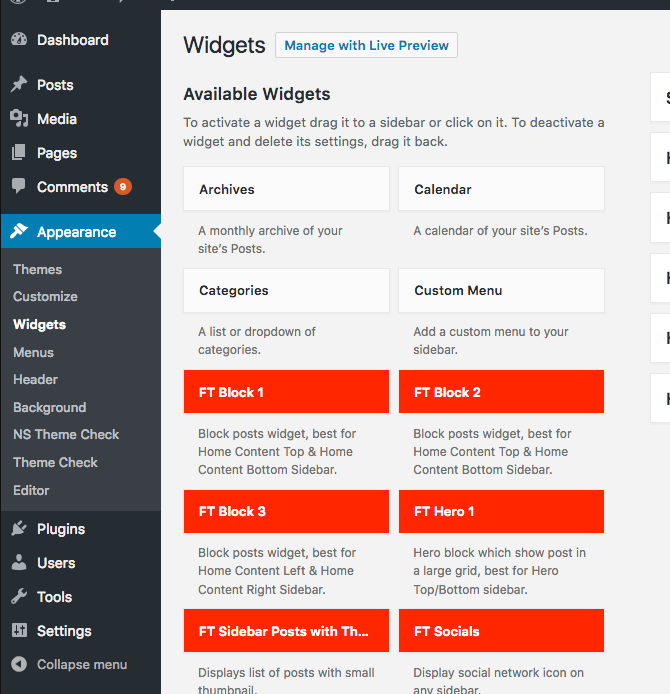 The Glob theme comes with 6 custom widgets that can be used to show post layout display – they can be found under Appearance > Widgets. You’ll find all the settings for Glob at Appearance => Customize => Theme Options. We’ll cover each section here in the documentation.